Tyson Jex has been named the new Director of Athletic Communications. 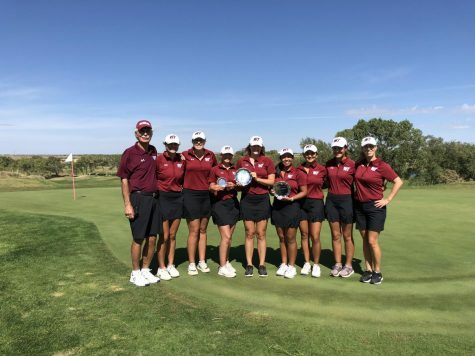 As the Buffs and Lady Buffs return for a new action-packed season of West Texas A&M University athletics, a former Buff has returned to help keep the buff nation and sports fans updated on the latest scores and stats for their favorite sports. 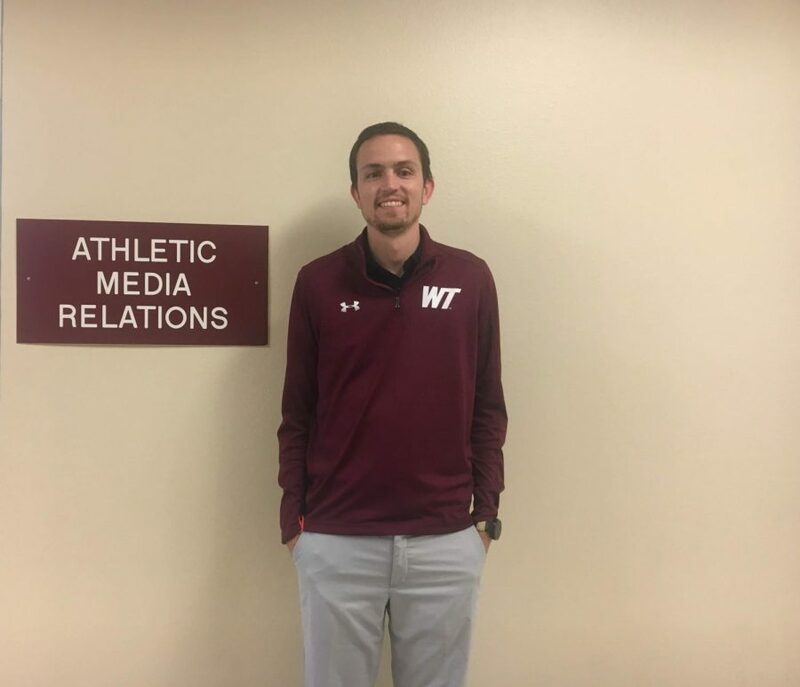 Tyson Jex has come back to Canyon as WTAMU’s new director of athletic communications. 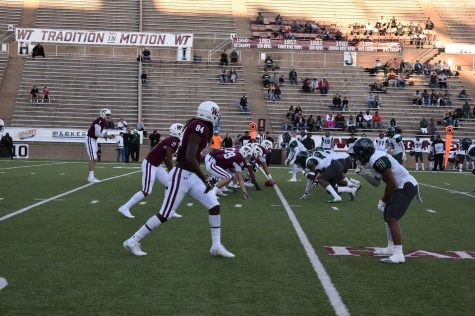 He served as the assistant sports information director at Texas A&M International prior returning to the Canyon area. 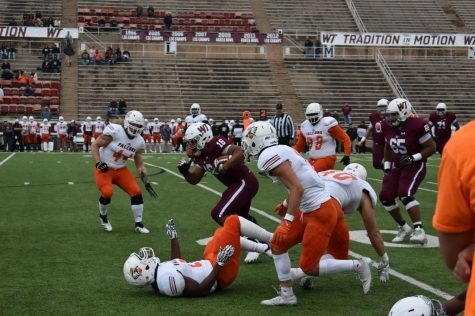 As the director of athletic communications, Jex “wears a lot of different hats.” He is in charge of making sure every sport at WTAMU is covered. 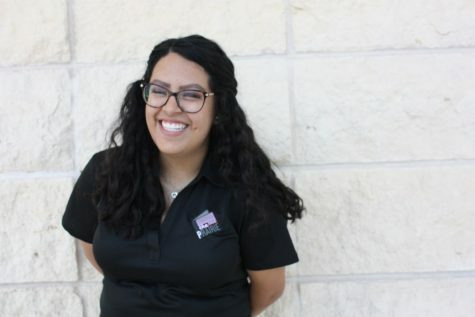 With the help of the graduate assistants within the athletic media relations department, Jex and the department take care of everything from live stats, videos and game notes to social media posts, historical data and team records. Despite the long hours and hard work that comes with the job, Jex is passionate about what he does and loves doing sports coverage. He likes watching all of the student athletes succeed and has a love and appreciation for every sport, from track and field to soccer. “It’s nice to have people that really enjoy their job…he is respectable to all the sports and loves all of them,” said head volleyball coach Jason Skotch. 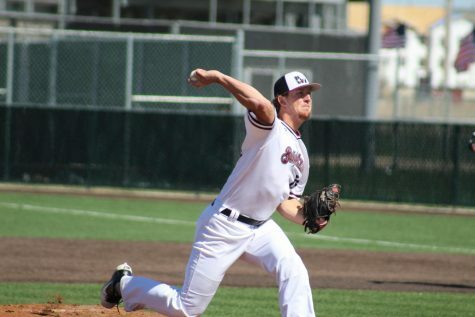 As a former college athlete himself, Jex has always enjoyed covering and writing about sports. 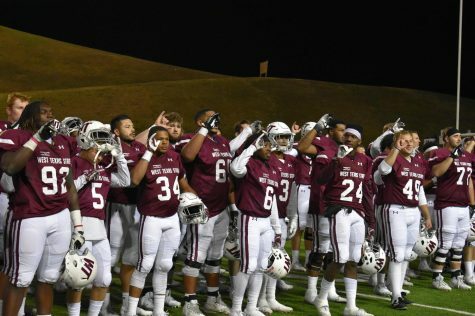 He appreciates the “family feel” that the athletic program at WTAMU has and values the support from the fans of the athletic program. Jex received his masters degree here at WTAMU and is a former graduate assistant for the West Texas A&M athletic communications department. Jex expressed his appreciation for the nice facilities that WTAMU has to offer for the athletes and the fans. He also spoke of his excitement towards the construction of the new stadium being built for the 2019-2020 football season.